In the illusion of human life some survive, some succumb, some procure super success and some fall down in dump. 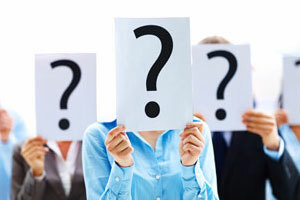 Politicians are public figures as they get pomp and power. Astrologically, politicians are blessed with nectar of the first house (place of self strength), second house (place of eloquence), third house (place of prowess), fourth house (place of faith of masses), fifth house (place of analysis and logic), ninth house (place of augmentation and auspiciousness) and tenth house (place of occupation and administration). 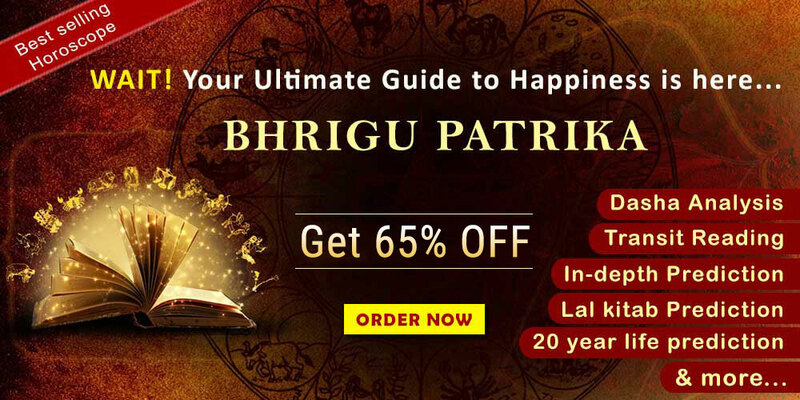 However, a person who is bestowed with the benefics of major houses of the horoscope, is sometimes victim of malefic houses, ie, 6, 8 and 12th. This is true - dominance of propitious houses lifts the native to dazzling heights of name, fame and prosperity but a little effect of the arrogance of these malefic houses calls the moment when everything suddenly, some how, changes to doom. A political assassination is such an example. Let us make an astrological probe into the matter. The mechanical and biological strength of physical body of the native is represented by ascendant and its lord in the horoscope. Influence of benefic planets - waxing Moon, Mercury, Jupiter and Venus on ascendant and/or its lord is beneficial for the individual to make him driven, energetic, ambitious, successful and long-lived, but if the ascendant is related to 8th or 12th house, the native suffers setbacks and unnatural death either by some sort of accident or assassination. Generally, ascendants of politicians are strong enough to bear various pressures, tensions and anxieties. Even then, if ascendant or its lord is hemmed in by malefics or related to 8th or 12th house or their lords, probability of assassination of the native emerges out. 1. The ascendant lord and 8th lord both are not inimical to friendship. 2. The ascendant lord is influenced by two benefics - Jupiter and Venus. 3. The destructive nature of the Mars and 8th house has been suppressed by a combined influence of three benefic planets - Mercury, Jupiter and Venus. 4. The lord of the 8th house - Saturn is exalted in fifth house and is free from any influence of the malefic association or aspect. Hindu astrology reveals 8th house as a place of death and hence considers the worst of all the three malefic houses - 6th, 8th and 12th. In fact, 8th house describes longevity and mode of the end of the life. Mantreshwar in Phaladeepika says - If the ascendant lord and 8th lord both are mutual friends, the native will be long lived. Similar situation is created when the lord of the sign in which Moon is posited and the lord of the 8th house from the Moon sign are mutual friends. It is apparent in the chart of Morarji Desai. Ascendant lord Mercury and 8th lord Saturn both are not inimical to friendship. Also, the Sun (lord of the sign where Moon is posited) and the Jupiter (lord of the 8th place from the Moon) both are natural friends. Benefic planets - Mercury, Jupiter and Venus in the 8th house increase the longevity and predict a peaceful natural death while malefic planets such as Sun, Mars, Saturn, Rahu, Ketu and Uranus are indicative of unnatural death either by accident, suicide, wounds, fire, weapon or electric shock. Possibility of such mis-happening increases as the affliction to the 8th place increases. 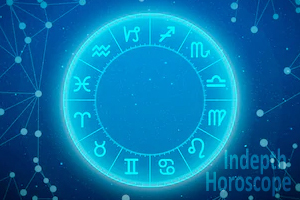 As per astrologer's view 12th house is the most unfortunate place of the horoscope because it is related to delusion, seclusion, loss, expense, secret enemies, imprisonment and unseen troubles. 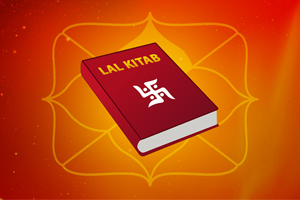 It is the opinion that if there is no planet in the 12th house and its lord is posited in 3rd or 8th house or aspected by Saturn (not by Mars or Rahu), the evil characteristics of this house get minimised and the horoscope gains some extra strength. Astrologers know that benefic or malefic functions of planets not only depend upon their intrinsic nature but also on their lordship. Sun, Mars, Saturn and Rahu-Ketu are evil by nature, Sun being the least and Rahu-Ketu being the most. Although the latter shadowy planets denote poisoning, secret intrigues, sudden events, assassination etc but they do not function independently. Chart of Mrs Indira Gandhi is strengthened by three exchanges of planets, of which the two are making good Rajyogas. These are - 1. Exchange of ascendant lord Moon with seventh lord Saturn. 2. Exchange of second lord Sun with fifth and tenth lord - auspicious Mars. 3. Exchange of sixth lord Jupiter with eleventh lord Venus. Although the ascendant is weakened by the influence of three first grade malefics (hemmed by Mars and Ketu and occupied by 8th lord Saturn), yet its vitality is animated by the aspect of its own lord Moon which in turn is aspected by divine Jupiter. This enabled Mrs Gandhi for hard decisions in crucial span of time. For Cancer ascendants the Saturn is animator as well as detrimental and fatal. Mrs Gandhi's political life was guided by the various aspects of Saturn, the major period of which was started from Dec. 1970 when she was in chair of PM. During the period of Saturn - Ketu she lost her power, dignity and modesty of her political life when she got defeated in the election to the Parliament in March 1977 but in the period of Saturn Venus she won the election to the Parliament and was sworn in for PM in Jan. 1980. It was Saturn-Rahu-Rahu a crucial period when she was assassinated at the age of 67 by her own body guard on Oct. 31, 1984. In her chart Saturn being the lord of 7th house is fatal and Rahu - Ketu both are detrimental. Rahu occupies 6th house from the ascendant and its dispositer Jupiter occupies the 6th place from Rahu. In this way a cruel relationship among ascendant, sixth and eighth houses is responsible for her assassination. In the chart of Rajiv Gandhi, ex Prime minister, the ascendant is weakened (hemmed and aspected) by three malefic planets, but it is augmented by the disposition of Moon in fixed and Saturn in dual sign as well as conglomeration of five benefic planets - Sun, Moon, Mercury, Jupiter and Venus. Moreover, the ascendant being vargottam gets some extra strength that conferred on him beauty, body and bravery. However, the lords of 1st and 8th house being in a fixed sign and malefic influence of Mars and Saturn on 8th house and its lord indicate his short life. Since the ascendant is fortified by many benefics, the age might touch to middle. He was at the age of 47 when assassinated on May 21, 1991 in a bomb explosion by a female militant of LTTE in the period of Rahu - Mercury. Both these planets are inimical and venomous because Rahu is in the place of secret enemy, conspiracy and assassination while Mercury is fatal being the lord of second house. The lord (Moon) of Rahu occupied sign in the ascendant, aspect of 6th lord Saturn on the ascendant and aspect of Mars on the 8th house show loss of life. In this way a cruel relationship among ascendant, second, sixth, eighth and twelfth houses is responsible for his assassination. It would have been in the period of Rahu - Saturn from Jan 87 to Nov 89 because Saturn also has sufficient fatal character. Mahatma Gandhi at the age of 79 was assassinated on Jan. 31, 1948 in Delhi during Jupiter - Ketu. There has been some ambiguity for his correct birth time and hence correct rising sign of ascendant whether it is Virgo or Libra. I consider Virgo ascendant which is benevolent for long life near to 80 years because lords of 1st and 8th houses are in movable signs but Jupiter being lord of 7th house is fatal. Ketu posited in 5th house (ie, 8th place from 10th house) is sufficiently inimical after receiving the aspect of 8th lord Mars. For Virgo ascendant, Mars being the owner of 3rd and 8th houses is full of fatal characteristics such as fire, injury, wound, accident, violence and destruction. So it vitiates the aspected planets. Shaikh Mujibur Rahman, Founder and President of Bangla Desh was assassinated at the age of 55 on Aug. 15 1975 by an army officer during the period of Saturn - Jupiter. In his chart Mars, lord of ascendant has lost its vigour* because of two first grade malefics (Saturn and Rahu). The 12th house* (assassination) is highly afflicted by the presence of Mars - Rahu and Saturnine aspect. Such combination of these three planets drains away the comforts of the concerned house and hence in houses 1, 8, and 12 they are indicative of short or middle life. We know that Mars - Rahu conjunction is synonym of a bomb or an explosion. An evil aspect of Saturn on Mars or vice versa creeps into sudden calamity. It is beyond doubt that in his chart Jupiter being lord of 2nd house is fatal but Saturn itself is not fatal. It is the Venus that being owner of 7th and 12 houses incepts the instincts of being a killer and instills its instincts by its direct aspect on Saturn. Benito Mussolini born in a poor black-smith family began his carrier as a correspondent. He stirred the public for socialist agitation by his revolutionary articles and speeches. For such revolutionary activities he was arrested and got suffer imprisonment. In his chart the ascendant is beset by the aspect of errant, erratic, erroneous, agonist and revolutionary association of 3 planets - Moon-Mars-Saturn. It fascinated him to be a fascist who believed in fight for the progress of a country. So he had been an extreme socialist using extremism. In his view democracy and peace are just like a stagnant water of a pond and hence an inertia to the progress. This is comparable to some other revolutionary union of planets observed in the charts of Karl Marx (Sun, Moon and Rahu aspected by Saturn), Adolf Hitler (Sun, Mars, Mercury and Venus aspected by Saturn) and Maharana Pratap (Mars, Saturn and Ketu). However, conjunction of benevolent planets viz. Moon-Mars in 7th, Jupiter-Venus in 8th and Sun-Mercury in 9th houses spread his popularity in masses as much that the king of Italy invited him to be sworn in as the head of the Govt. on Oct. 27, 1922 during Jupiter - Venus period. In second word war he faced defeat everywhere. So he lost his faith in masses and became the victim of public rage. He tried to escape into Switzerland but he was arrested on 28 April 1945, and, together with some members of his Fascist Cabinet was executed by partisans and ultimately got assassinated. This is noteworthy that Mars-Saturn conjunction like Mars-Rahu is violent for causing sudden calamity like dog-death and Jupiter being lord of 2nd (or 7th) house is highly fatal. 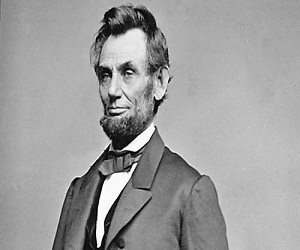 Abraham Lincoln, the 16th President of USA and one of the greatest American heroes was born in a poor family who earned his living by working on the river as a boatman, by splitting rails and acting as postmaster. With little formal education he had all the qualities of a good statesman. His humour, eloquence, patience, courage, charity and kindness established him in masses who one day elected him as President. He attended a theatre on the night of April 14, 1865 where John Wilkes Booth, an actor shot him through the brain and on the morning of 15th he died. It was Saturn-Mercury period. At first instance both these planets in his chart are not fatal like the lords of 2nd and 7th houses but they are influenced by them. It is well known that Mercury is a dependant planet that shows the characteristics of conjoined planet. In his chart Sun-Mercury duo occupy the ascendant. Therefore, Mercury squeezes the intrinsic fatality of the 7th house through its lord Sun and becomes fatal indirectly. Simultaneously, Saturn as a lord of ascendant is a producer of life even then being a lord of 12th it is related to death. In Laghu-Parashari Saturn is considered as a master of death and becomes a first grade fatal planet among others. Pramod Mahajan, general secretary of BJP and a minister in A B Vajpayee Govt. was grievously wounded by his younger brother Pravin who shot at him at his residence on April 22, 2006 at about 7.30 AM. The three bullets caused internal damage to his body that eventually led to his death during Saturn-Moon-Venus (or Sun) period. According to sources although Pramod supported his siblings morally, socially and financially yet the two brothers were on bad terms for about two years as a consequence of sufferings of Pravin from ill-treatment, humiliation, frustration and inferiority complex of the feeling of a poor brother of a rich and powerful man (Pramod). Astrologically, for Leo ascendant Saturn being lord of 6th and 7th houses is a cruel fatal planet. In the chart of the native Saturn in retrograde state is posited in 12th house and by its aspect vitiating the Moon that has drawn the fatal characteristics of 12th. The third vitious planet is either Venus or Sun, neither is life saving because Venus being lord of 3rd has lost its auspiciousness and further it is posited in 7th house, a giver of death. If we look at Sun, it is in an embarrassed state being occupying 6th and having aspect of fatal Saturn. As the conclusion, for politicians Saturn is a significant planet that in mundane astrology stands for destiny, misfortune, public and democracy. The authoritarian action and philanthropical behaviour of politicians are integral to public. Although in its period Saturn induces the native to go to the high peak of power, position and prosperity yet it does not act to the rescue of the native who commit s mistake to be bereft of his duties and to attack the honour, integrity, sentiments, conscience and regalement of even a bit of the public. Therefore, as soon as the period of Saturn (or any other) as a fatal planet starts, the politician native can not get rid of the punishment of his misdeeds and hence he must take care of not only himself but of others otherwise he may lose his life.